Home improvement projects are an investment, but that doesn’t make that initial cost any easier to handle. 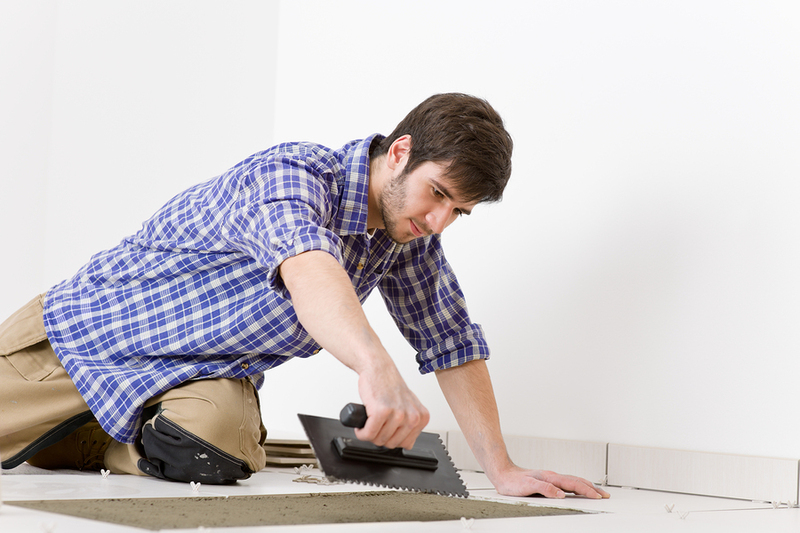 Your new floor will get a lot of wear and tear, so you don’t want to skimp on materials or quality installation. Here are some ways to get beautiful new flooring on a budget. One mistake that can cost you a lot of money is choosing the wrong type of flooring, especially if you plan on living in your current home for many years. In the long run, it’s better to pay for more durable flooring that will withstand wear and tear than to install inexpensive flooring that will need to be replaced in just a few years. Generally, carpet is not a good choice for high traffic areas because of the risk of staining and wear. Tile or wood floors are better choices for high traffic areas. Each type of flooring has different price points, and the lowest priced product may be inferior. Inexpensive tile, for example, can crack if you drop something on it, so take this into consideration when shopping. As well as the materials, labor and installation is going to be the most expensive part of installing new flooring. If you have the right tools and materials, you can install laminate, tile, and wood flooring yourself and save a lot of money. Ask a friend for help if you aren’t handy around the house. If you must hire a professional for installation, ask if you can save money by doing part of the work yourself. Offer to move furniture out of the room and remove the old flooring if necessary. Some carpet stores offer remnants, which are pieces of carpeting that are left on the roll. Since these pieces are so small, they are sold at deep discounts. Although these pieces are small, they are usually big enough for a den, small bedroom, closet, or other small room. Vinyl flooring sold on rolls is also available as a remnant at big savings over retail. You aren’t likely to get a discount from a national chain, but you may have some luck with an independent store. Ask if they have coupons available that you can use to save money on your home improvement project, which may include free installation or a percentage off the flooring. Card processing fees can be high on a large purchase, so ask if there is a cash discount. The store owner may agree to give you a discount equal to the merchant account fee if you pay cash. Saving money on home improvement projects helps you afford better quality materials, which will last longer than less expensive materials. This will save you a considerable amount of money in the long term, and you will enjoy a beautiful home with amazing floors for many years! Will be enhancing our home interior any time next month and yes, it’s true that home improvement projects are an investments. Thanks for the good read! I am looking for some good discounts on flooring as it is costing me a fortune these days. If you can suggest some, it would be a great help.